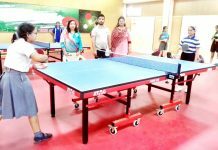 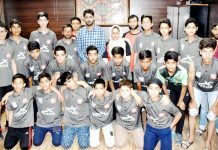 JAMMU, Sept 12: Semifinals position has been cleared on day-3 of the Badminton (Men) tournament as part of the 45th Inter-Collegiate Competitions 2018, being organised by the Directorate of Sports and Physical Education, University of Jammu, under the overall supervision of Dr Daud Iqbal Baba, its Director, here. 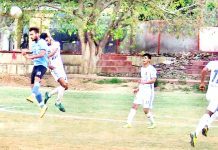 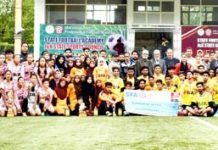 In the quarterfinals, GCET beat GDC Akhnoor by (3-1), GDC Kathua defeated GGM Science College by (3-0), PG Department drubbed GDC Reasi by (3-0) and GDC Udhampur trounced GDC Ramnagar by (3-1). 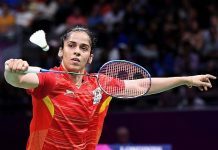 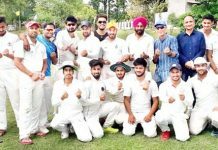 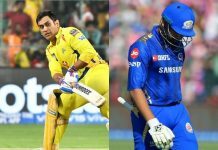 The matches were officiated by Ravish Vaid, Vikram Jamwal, Gourav Sharma, Rakesh Verma, Sanjeev Sharma, Narinder Sharma, Gourav Jamwal and Ankit Sharma. 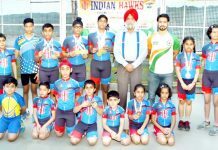 In Kho-Kho Women, PG Department beat GCW Gandhi Nagar by 2 points (08-05), GCW Udhampur trounced GDC Kathua by 5 points (07-02), GCW Kathua outplayed GDC Hiranagar by 11 points (12-01) and GCW Parade outclassed GDC Samba by 06 points (07-01), while in Kho-Kho Men, GDC Samba defeated SPMR Commerce by 5 points (10-05 and GDC Rajouri drubbed GDC Reasi by 07 points (12-05). 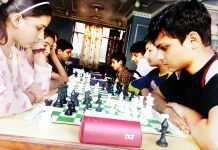 The matches were officiated by Anil Sharma, Ajay Gupta, Anil Kumar, Jagdev Singh Israr, Shivali, Gagan and Kanchan.